There are two ways to apply for Work Permit (Citizenship and Immigration Canada http://www.cic.gc.ca/ENGLISH/work/index.asp): before and after arrival. In my case, I have decided to take a chance and apply upon arrival at the airport, and although it sounds as a huge gamble it is not as long as you have all your papers in order (passport, job offer letter and evidences of qualification). 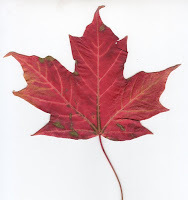 I also had a pre-filled Work Permit application and, B4 and B4A (Goods to Follow) forms for the Canadian Custom (Canada Border Services Agency http://www.cbsa-asfc.gc.ca/publications/forms-formulaires/menu-eng.html) to go through the process quicker; so after 15 minutes with immigration officer and a $150 fee, I had my Work Permit and was ready to go. Although it is possible to agree with a private landlord, I have opted for a property management company. There are many of them, offering apartments for rent throughout GTA (http://www.rental.ca/ and http://www.myhood.ca/) but the main disadvantage is that you are tied to it for a year. On the other hand, staying in hotel for a month or more could be quite expensive, and the fact that you are “forced” to eat in the restaurants does not help. In addition, most of apartments are rented unfurnished so you will need to consider that as well. In the first couple of weeks, we have literally sponsored IKEA but it is possible to get second hand furnishes from friends/relatives (if you have those), Kijiji or Craigslist. But the biggest change for me was the banking system. While in UK, basic bank accounts were (usually) free, in Canada a large majority of banks do not offer fee-free accounts. Although the fee is not exceptionally high (I have lived in Israel and the fees charged there are twice higher than in Canada), I still think it is not fair. After doing a short research, I have found a financial institution (PC Financial http://www.pcfinancial.ca/) which offers fee-free banking account with unlimited transactions per month but everything is done via Internet or ATMs. To move money between UK and Canada, you can either user your bank (expensive) or company specializing in currency trade (HiFX http://www.hifx.co.uk/ or XE http://www.xe.com). The later option is (usually) free and (again, usually) provides better exchange rate. After sorting out accommodation and bank account, the next step would be a driving license and Social Insurance Number. 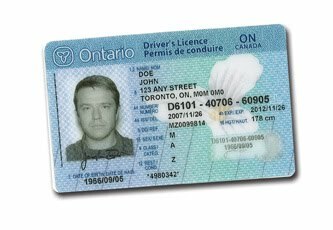 In Canada, each province has its own driving license authority and even if you move from British Columbia to Ontario you will be required to exchange your license within 3 month. In Ontario, you can exchange your driving license if you are from Canada (other province), US or number of countries with reciprocal exchange agreement. Th rest have to take a written and practical driving test (Ontario Ministry of Transportation http://www.mto.gov.on.ca/english/dandv/driver/drvlicen.shtml). The Social Insurance Number is much easier; all you have to do is to fill a half page form (Service Canada http://www.servicecanada.gc.ca/eng/sc/sin/index.shtml). The last thing is to apply for OHIP (Ontrio Heath Insurance Program). Most Ontario residents are eligible for provincially funded health coverage but it becomes effective only three months after the date you establish residency in Ontario (Ontario Ministry of Heath http://www.health.gov.on.ca/en/public/programs/ohip/default.aspx). I hope my little post was informative and helpful.